New Delhi, April 13: France waived taxes worth 143.7 million euros to a French-registered telecom subsidiary of Anil Ambani's Reliance Communications in 2015, months after India's announcement of buying 36 Rafale jets, a leading French newspaper Le Monde reported Saturday. 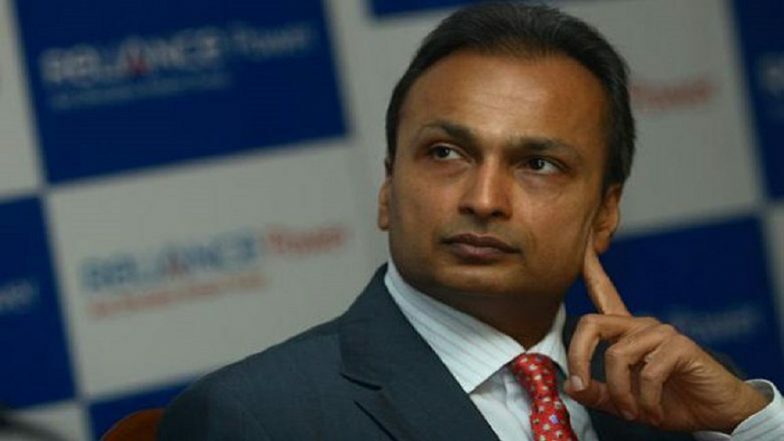 In its reaction, Reliance Communications rejected any wrongdoing and said the tax dispute was settled under legal framework which is available for all companies operating in France. Rafale Deal: Rahul Gandhi Mocks Anil Ambani, Says ‘He Will Not be Able to Make Even a Paper Plane’. However, Reliance offered to pay 7.6 million euros only as a settlement but it was French tax authorities refused to accept the amount. The authorities conducted another probe for the period 2010 to 2012 and asked the company to pay an additional 91 million euros in taxes, the report said. It said by April 2015, the total amount owed by Reliance to the French authorities in taxes was at least 151 million euros.